so i hope i'm not the only one who spends ridiculous amounts of time on pinterest collecting bunches of wonderful ideas. i might be spending more time there then most, shameful really...but i'm finally going to spend sometime actually crafting these wonderful projects. 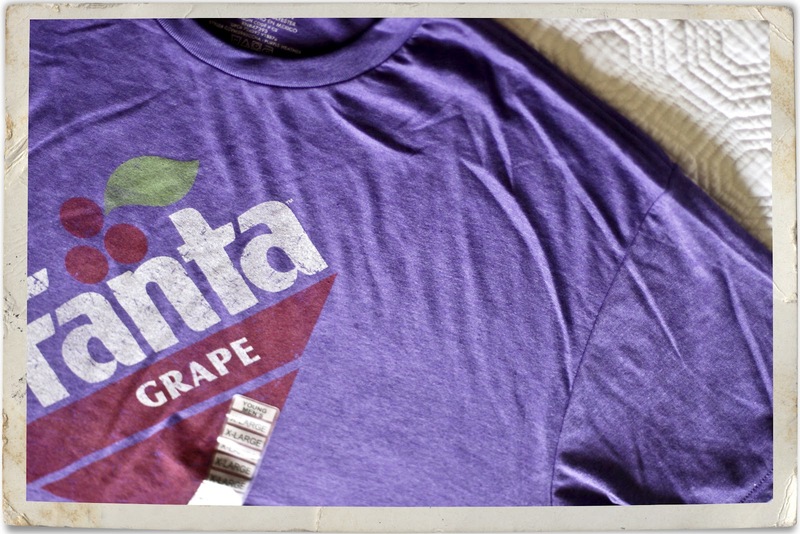 this fabulous xl grape fanta t-shirt is first on my list. there are so many cool tutorials on pinterest on how to customize t-shirts that i just have to try one. and while i don't really sew, my cute mama is a former professional seamstress so i've got help. in fact maybe i'll actually learn something. Can't wait to see what you make with this lady!